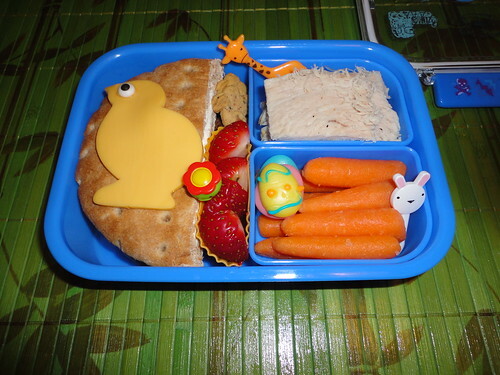 We are back from our mini Spring Break vacation and had a lot of fun :) This bento was from last year, before I started blogging. Thankfully, I have a flickr account to look back at my archives. Haha, I know this bento! Didn't even know you then but thought it was so cute when I saw it on flickr! This is still adorable! Berrygirl,thanks! :) At that time I was thinking whether to start blogging or not and surprised that you have seen it on flickr. Cheep Cheep! Thanks for submitting!